Video wall specialists eyevis are partnering with the French Ministry of Defence to showcase display solutions at the world's largest international land and airland defence and security exhibition. eyevis France will demonstrate its state-of-the-art control room, simulation and training products and equipment on the Ministry’s stand at Eurosatory 2016, to be held at the Paris Nord Villepinte Exhibition Centre, Paris, from June 13 to 17.
eyevis France has been working with the French Ministry of Defence for five years and has provided 12 control room systems across different locations throughout the country. They range from maritime command centres for the Atlantic, Mediterranean and North Sea the Coast Guard, the Ministry’s air operations centre and the joint centre of infrastructure networks and systems. eyevis is one of the leading manufacturers of large scale video systems for professional applications in control rooms, virtual reality and simulation as well as in the areas of broadcast, AV and digital signage. 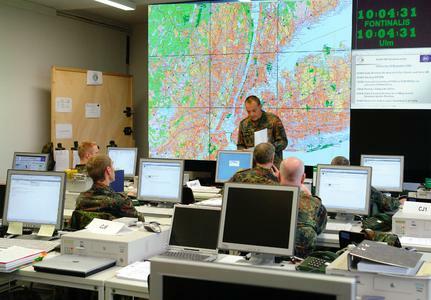 Its products used in the Ministry of Defence projects have provided high-quality German-made visualisation systems, with an extremely high degree of adaptation to individual needs, unique completeness of the system, flexibility and unrivalled picture quality. eyevis’ expertise in the defence sector was highlighted last year when eyevis UK secured a £400,000 deal with BAE Systems to provide its ultra-high resolution display screens and operating equipment for use in Typhoon flight simulators in the UK and abroad. 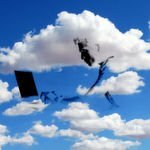 The deal will result in eyevis UK technology helping to train air force pilots in some of its key export markets as well as an in-house testing and evaluation system at BAE Systems’ site in the North West of the UK. eyevis is a manufacturer and display solution provider of high definition display solutions. With an integrated research and development department, eyevis France helps clients with new information and communications technology in different environments such as defence, security, transport, industry, energy, environment, telecommunications, finance, assistance, aviation and space. 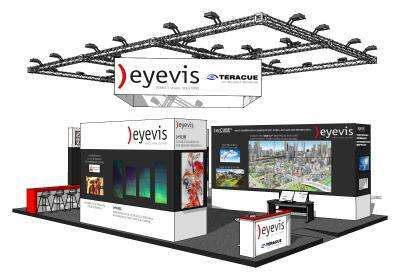 eyevis, the German manufacturer of large scale video systems, is one of the leading providers and integrators of visualization systems for professional applications in control rooms, virtual reality and simulation as well as broadcast and AV. eyevis has a worldwide network of subsidiaries and certified retailers. As one of only a few providers, eyevis is capable of offering entire systems from one source. The complete solutions of eyevis include display solutions, graphic controllers, software applications as well as all necessary accessories.